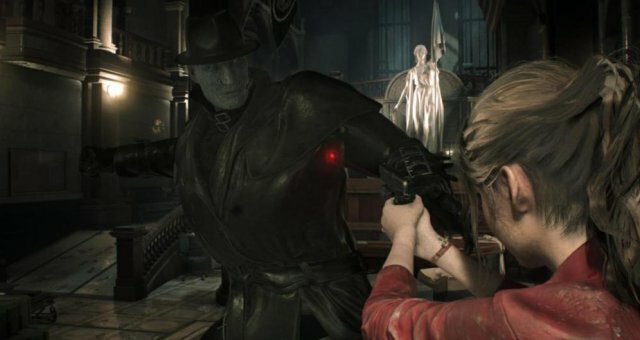 Resident Evil 2 Remake (2019) has 11 Collectable Weapons. This guide shows All Weapon Locations in RE2. Leon and Claire have different weapons. You will find them in the exact same places but a different weapon will be there. Claire has one more weapon than Leon (she has an extra in the Parking Garage where Leon only finds a Weapon Upgrade Part). The weapons can be missed! If you progress past the point of no return (Cable Car ride in Sewers) then you cannot get these anymore. One weapon with each character is tied to their B-Scenarios (called "New Game 2nd Run" in Title Menu). To unlock the B-Scenarios you must finish the game once with each character. Leon-A unlocks Claire-B and Claire-A unlocks Leon-B.